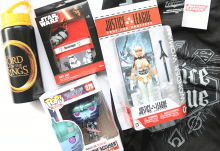 Geek Gear is a monthly subscription box service which has 5-10 items included appealing to any geeky/gamer. 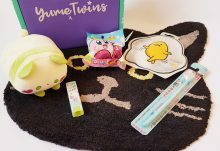 The value of each monthly box is always between £40-£60 and is varied month to month based around the monthly theme, the September theme was ‘Future’ and was packed full of geeky goodies to please the fussiest of fans. 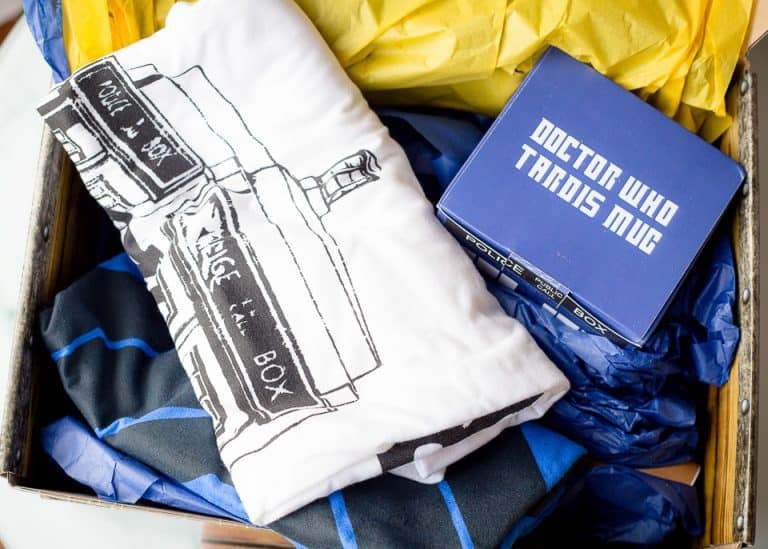 One tip to mention if you are thinking of subscribing is to ensure you add in your t-shirt size on subscribing as every box will have a themed t-shirt inside to grow your geeky collection. 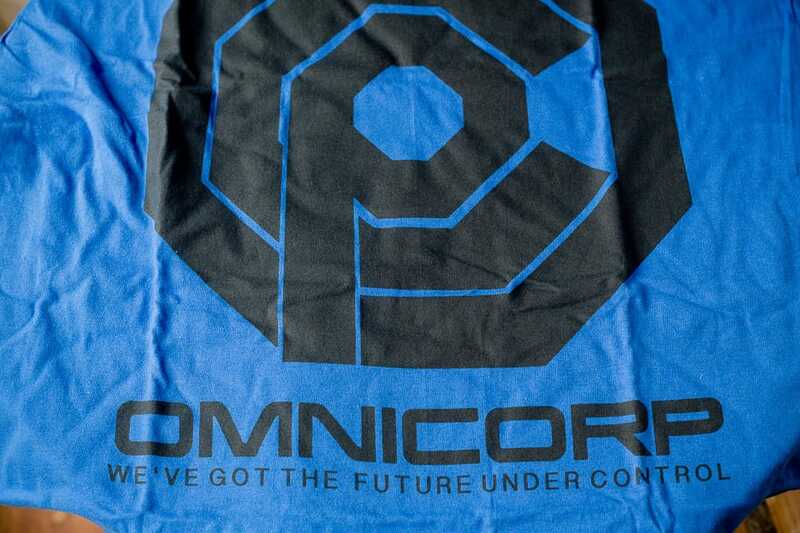 I feel this offers great value for money as every t-shirt I have received has been good quality and something I would wear and considering they retail for £10-£15 each alone you are getting the rest of the contents for just a fraction more. On to the price and each monthly box is £19.99 and it’s worth taking notice of Geek Gear’s social media platforms to keep an eye out for upcoming boxes and also any giveaways they may have. Every month Geek Gear have a huge number of prizes up for grabs (over 250 in August alone!) 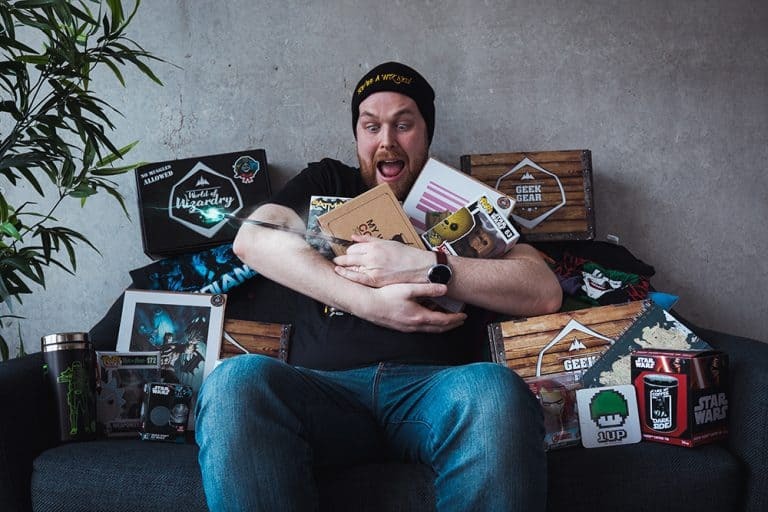 so it’s worth taking the time to share a photo on social media for the chance to win some fantastic prizes by adding the hashtag #ILOVEGEEKGEAR to a photo of some of your favourite monthly Geek Gear merchandise. 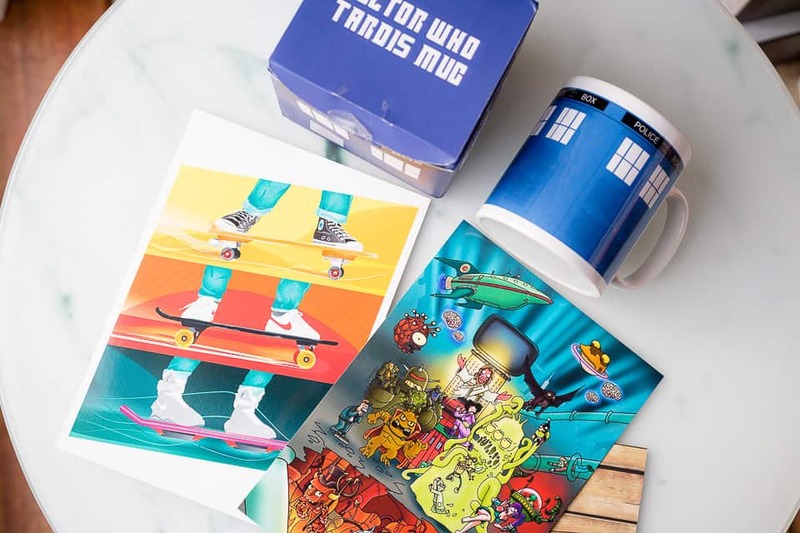 On to the September ‘Future’ Box and first out was the Doctor Who Mug with the iconic and unmistakable design and a sturdy quality mug to have your tea or coffee in. 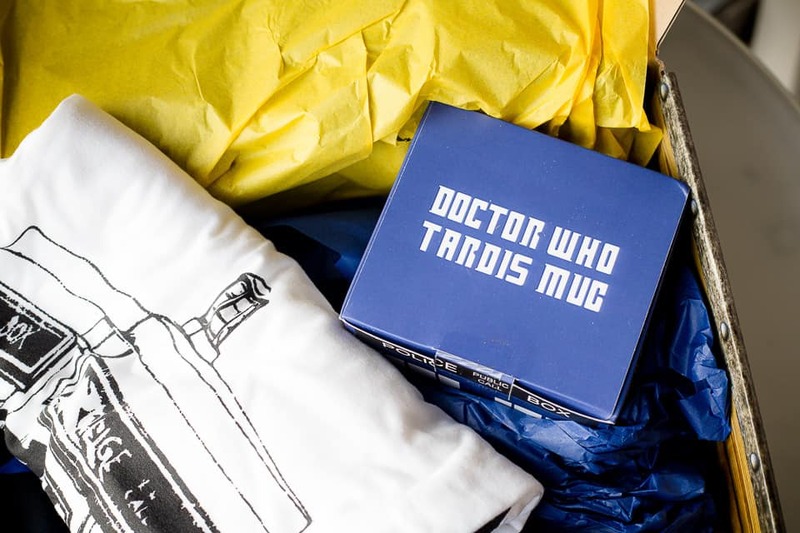 I was so glad to see an item from Doctor Who as I am a huge fan and I love the fact it’s something I will use and love every day with my morning cuppa! 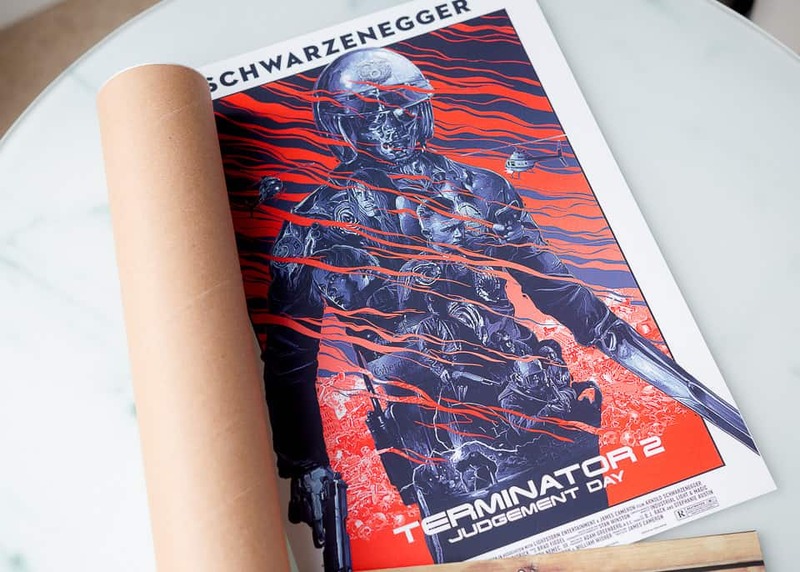 Next out a versatile double sided Terminator Print and fans of the film franchise will love the striking imagery, the print is on fairly thick card and ideal to frame or just add to the wall – really eye catching and colourful. 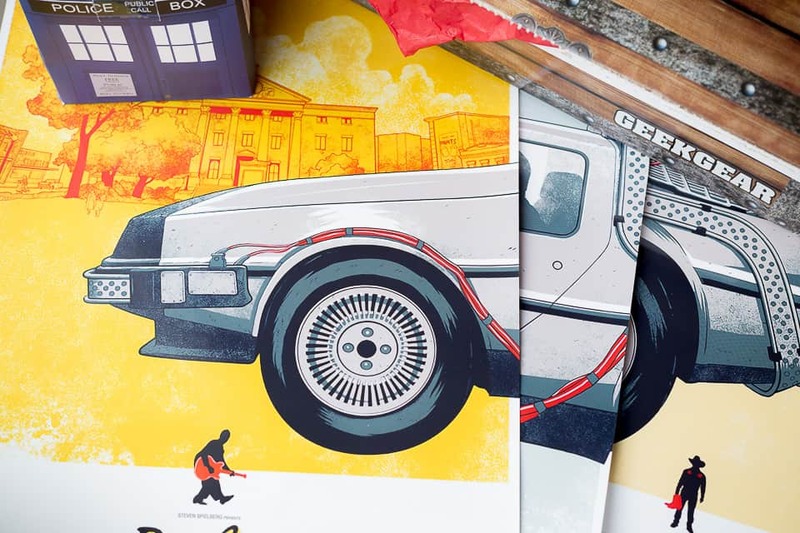 Next and also to brighten up the wall space is a three part poster with imagery from the Back To The Future movies. Fans of the movie trio will love the integration of images and illustrations from each individual movies and once up on the wall it does look really impressive. 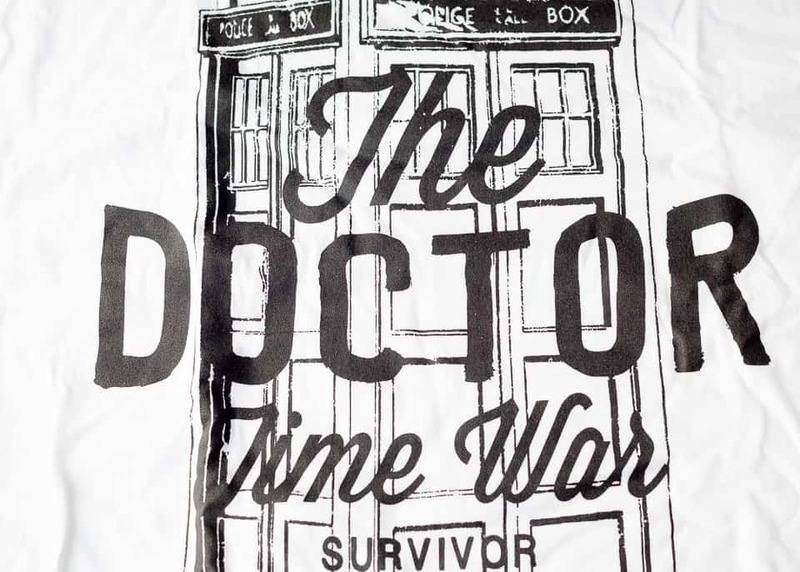 This month Geek Gear treated it’s subscribers to double the t-shirt with one Robocop Omnicorp t-shirt and one Doctor Who (The Doctor Time War Survivor) t-shirt – both great quality and exceptional value for money. Lastly a postcard duo on thick card, one with illustrations from Futurama and one from Back To The Future. Another great value month from Geek Gear and I am loving the varied monthly themes as well as the variety and unique quality of the products included. 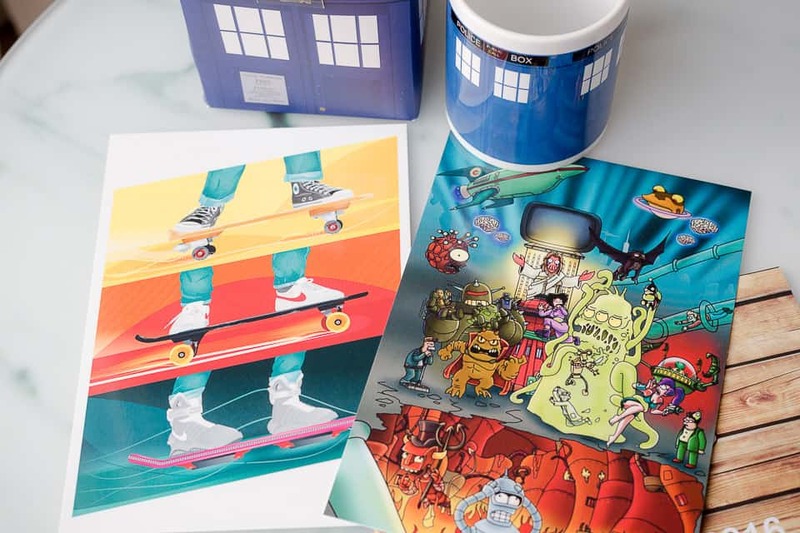 If you would like to try out the Geek Gear subscription box I have a very special offer from the GeekGear folk to give you 10% off – and not just off your first box either, that’s 10% discount off every month’s subscription you sign up for. All you need to do is apply the code below when you checkout online and the 10% discount will come off your entire subscription! 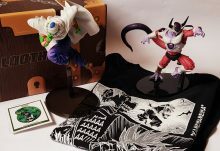 A monthly subscription box ideal for geeky gamers.